Only three categories left, and I’ll admit, it’s getting complicated. Our next category is Foreign Film, and unlike last year, there is no clear winner. Our first nominee is The Broken Circle Breakdown, from Belgium. In this film, A religious woman falls marries an atheist, and then their daughter becomes ill. From what I understand, the film is a tearjerker. Sometimes, Academy voters like tearjerkers. But maybe they want to vote for something happier. 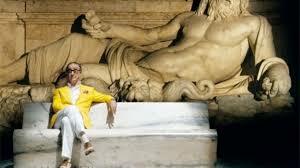 Enter The Great Beauty, from Italy. Italy has the record of most wins in this category, and they could easily score another one here. The film is about an addict who, after a revelation, begins seeing the beauty in the world. This won the Globe and the BAFTA, so I’d say we’ve found our winner. But then there’s The Hunt, from Denmark. It’s about a misunderstood statement from a young girl that ended up destroying a man’s life, and everything I hear about it is positive. However, it hasn’t really won any guild awards. It could win, but somehow I don’t think it will. Next up is The Missing Picture, from Cambodia. The film tells a simple story with claymation that details childhood memories. Interesting, but it does seem a bit too atypical to win an Oscar over the competition. Finally, we have Omar, from Palestine. A story about a freedom fighter and forbidden love in Palestine. From what I understand, the film had a very limited release, which meant that a lot of voters might not even get a chance to see it. Either way, I don’t think it’ll win.